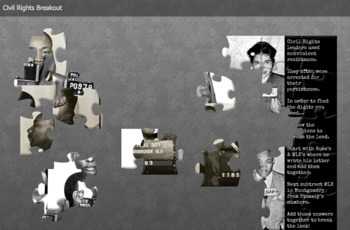 This product is an Escape Room-esque activity that tasks students with solving problems around the Civil Rights Movement content in order to break the "locks" and find the solutions to the puzzles. This Breakout has two levels with a total of 5 puzzles for students to solve. 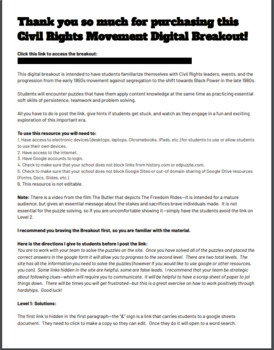 This product would serve as an engaging introduction or closure to any study of the Civil Rights Movement. Your students will love the challenge--guaranteed! *This product is not editable.